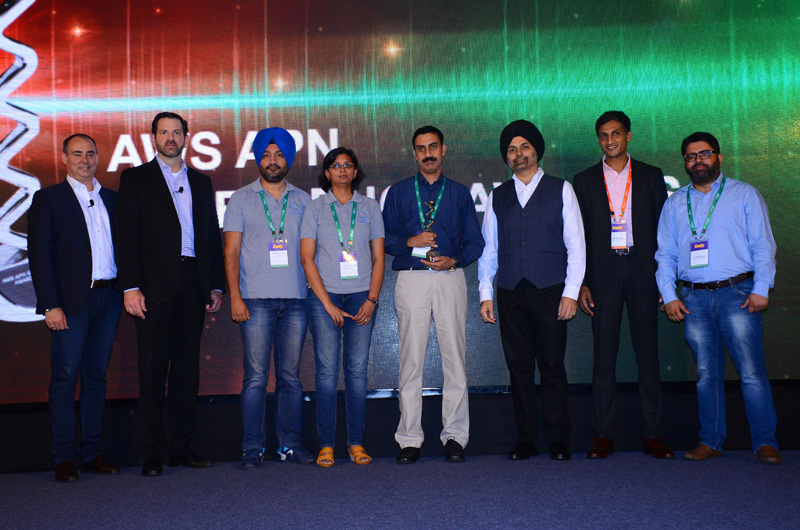 BluePi, a born in-the-cloud company, based out of Gurgaon and Bangalore, recently won ‘Specialized Partner Laurel for Big Data and Analytics’, at the recently concluded AWS Partner Summit held in Mumbai, on 4th May, 2017. This award celebrates excellence in implementation of customer solutions based on AWS technology. The recognition is for building products to deliver complex workloads on ‘Big Data and Analytics’, and demonstrate capabilities on ‘Real-Time Analytics and Machine Learning’. Also, partner acquired the most number of referable clients in Big Data stack. Besides bagging this award, BluePi was also a prominent participant in summits held PAN India- Gold Sponsor in Mumbai, 3rd May; Silver Sponsor in Bangalore, 9th May. The summit held in Mumbai witnessed a footfall of over 2500 delegates and personalities, across verticals of technology. Delhi and Bangalore were no-less. The keynote of the summit was delivered by Mr. Werner Vogels, CTO and VP, Amazon Web Services and participated by other tech companies like GitHub, RedHat, SAP etc. Mr. Pronam Chatterjee, CEO and Founder of BluePi, was one of the eminent speakers at the summit, held in Mumbai. He spoke on ‘Three Scalability Fallacies- Consequences and Cure on AWS Cloud’. The session was houseful, with many young Entrepreneurs, and industry leaders, being engrossed in insights and conclusions he highlighted. If you have any queries or want to reach out to us, feel free to drop an email info@bluepiit.com.